Join the Kalamazoo Area Runners (KAR) Team in the fight against breast cancer! Join the Kalamazoo Area Runners (KAR) Team at the Susan G. Komen Foundation Southwest Michigan Race for the Cure!!! Many of us have been touched by breast cancer in some way, whether personally, or through a friend or family member. Please consider running the event as part of the Kalamazoo Area Runners (KAR) team. This year’s event will be held Sunday, May 21, 2017 at 2:00pm at the Gilmore Car Museum, Hickory Corners, MI. Click here for more information on the 2017 Susan G. Komen Foundation Race for the Cure. 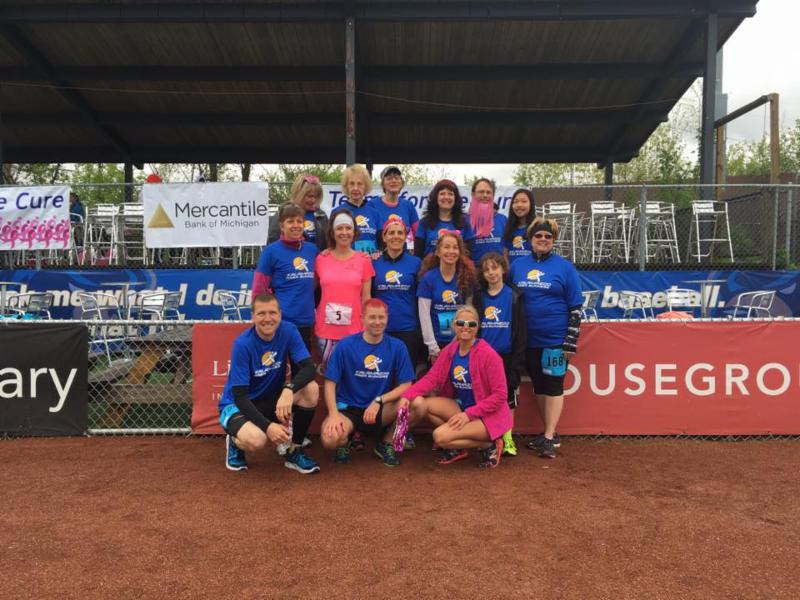 Each year, the Kalamazoo Area Runners organizes a fundraising team to participate in the event and raise support for the Susan G. Komen Foundation. In addition, the event counts towards our 2017 Club Championship Series and participates in our Race Discount Program. We encourage you to join the Kalamazoo Area Runners (KAR) team and support this important cause by running, walking or donating on our behalf. Our goal is to raise a minimum $1000 and recruit a minimum of 25 team members. Our NEW Kalamazoo Area Runners (KAR) technical shirts will be given to the first 25 team members who sign up. To join the Kalamazoo Area Runners Team requires two easy steps. 1. Register for the 2017 Race for the Cure, donate and join the team all at once. Click here to sign up for the Kalamazoo Area Runners (KAR) Susan G. Komen Foundation Race for the Cure Team, select “Register” and “Join a Team,” then select Kalamazoo Area Runners (KAR). Use the 4 digit KAR discount code to receive $5 off. 2. In order to reserve your Kalamazoo Area Runners team technical shirt and join the team email distribution, submit your email address and shirt size (first 25 receive a shirt – shirts are pre-ordered and sizes are based on availability): Click here to provide your email and shirt size. For more information on joining the Kalamazoo Area Runners Team, please contact Scott Struck at scott.struck@kalamazooarearunners.org.